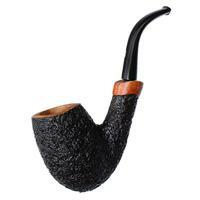 This bent Egg offering from Castello certainly represents the Italian workshops typical rendering of the design. 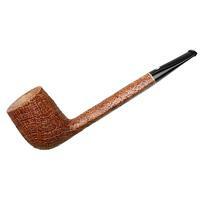 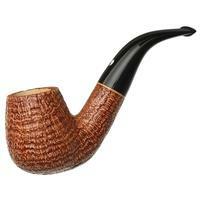 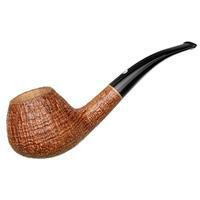 Marked by a long, deeply bent, and sweeping stretch of shank and stem, the bulbous bowl is perched plumply on the end. 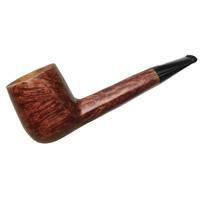 In this particular version, though, the transition has been raised considerably, lending the bowl and even more poised posture with the bottom of the shank coming to a jutting protrusion just behind the bowl's heel. 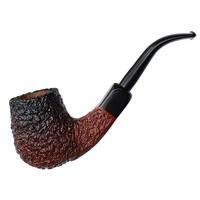 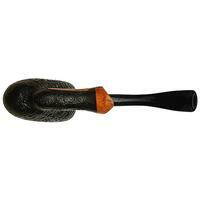 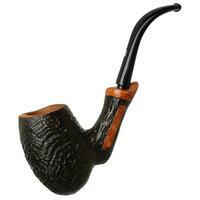 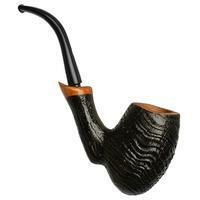 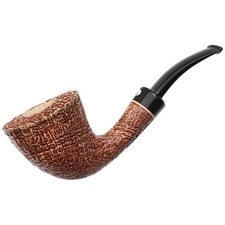 With over two inches of chamber depth, this is quite the comfort pipe, fitting excellently in hand thanks to the curved transition and rippling Old Antiquari sandblast. 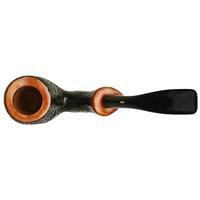 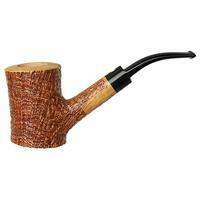 Bowl Height: 2.46 in./62.48 mm. 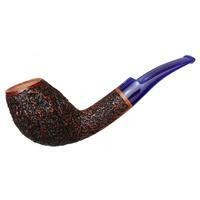 Chamber Depth: 2.16 in./54.86 mm.